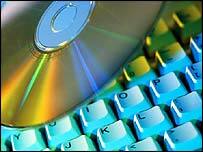 A US woman accused of sharing music online believes the recording industry illegally investigated her online activities. Lawyers for the New York woman are contesting a subpoena calling for her internet records to be handed over. They suggest the Recording Industry Association of America's search of her files was unconstitutional. The RIAA has issued 1,300 subpoenas to users it believes are violating music copyrights. The woman, who has only been identified as "nycfashiongirl" in court papers, is suggesting the RIAA acted illegally in intercepting her internet activities. Lawyers are now asking a federal magistrate to delay ordering her internet service provider to turn over her name and address to the RIAA, in preparation for filing a lawsuit. The RIAA has accused her of offering more than 900 songs by the Rolling Stones, U2 and Michael Jackson, and at least one movie, Pretty Woman. Her defence is that the RIAA is not properly affiliated with law enforcement agencies and thus its search of music files was a violation of her legal protection. In court papers, the lawyers said they may argue the RIAA violated state and federal laws by tracking what was passing through the woman's internet connection as its investigators scoured file-sharing networks looking for songs to download. RIAA vice-president Matt Oppenheim called the arguments "surprisingly shallow". He added that the claim about violating the woman's internet address "reflects a fundamental misunderstanding of how the internet works". Mr Oppenheim also said the RIAA was immune from rules on unreasonable searches on the internet, because it did not have links with law enforcement agencies.